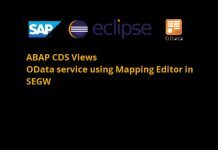 Hello everyone, in this tutorial we will learn how to use filter query option in SAP OData service. What $filter query option does? Query option $filter adds filtering capabilities to the SAP gateway OData service. 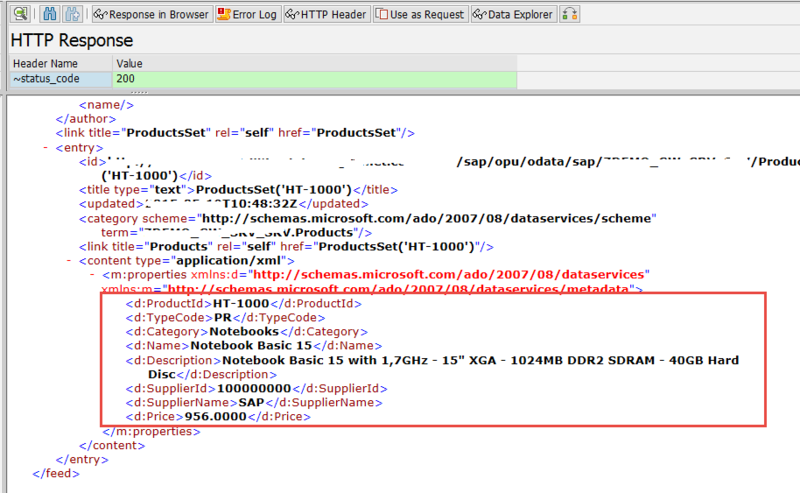 So that you can able to filter the OData service feed/collection based on the fields available in the Entity Type set. A gateway OData service is getting all the products from the back-end system, but you don’t want to get all the products and you want to apply filters on the OData service so that required products are retrieved. <fieldname> is the name of the field. <operator> must be from the list of supported operators. <value> can be a string value and should be enclosed in quotation marks (‘value’). In this section we will adjust the OData service to respond to $filter query option. $filter query option should be applied only to Entity Type sets. We assume that you have already built the OData service to get the list of products. if you have not click here. 1. After successful creation of OData service. 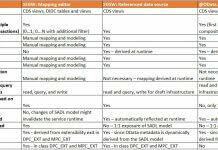 Go back to service builder SEGW, Navigate to the ABAP workbench for the Product Entity set. 2. Code inside the method PRODUCTSSET_GET_ENTITYSET will look like below i.e before adjusting the service to $filter query option. IF lt_products IS NOT INITIAL. LOOP AT lt_products INTO ls_products. 3. In the above code snippet, we have retrieved the list of products generally by providing the max rows. Now we will adjust the code to adapt it to the $filter query option. Filter query option is available in the method by accessing the importing parameter IT_FILTER_SELECT_OPTIONS. 4. Put the below code in the method PRODUCTSSET_GET_ENTITYSET to repond to the $filter query option. WITH KEY property = 'ProductId'. LOOP AT ls_filter-select_options INTO ls_select_options. 5. What we did in the above step. pass the select option range to the BAPI to get the required/filtered data. 6. From code perspective we are ready, so lets test the service by using the sap gateway client /IWFND/GW_CLIENT. 7. If we execute the service without adding $filer query option, then we will get all the products available in the system. If we add the $filter query option to the service our service will respond to that and it will give the results based on the filters provided. Test the service by providing the following URI with $filter on ProductId = HT-1000. 8. Check the collection/feed, now you should get only the product what we have given in the filter. You can add N number fields with $filter query option. There are currently some limitations for query options $filter. Logical Operators supported as of now are ‘eq’ , ‘ne’ , ‘le’ , ‘lt’ , ‘ge’ , ‘gt’ . 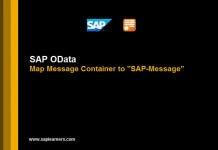 Stay tuned to us for more SAP Netweaver Gateway/OData tutorials. Please feel free to comment and let us know your feedback. Subscribe for more updates.